Children usually come into foster care as a result of abuse or severe neglect. Very occasionally, and sadly, it is a result of one or both parents becoming ill or even dying. When Cathy is first asked to foster little Michael she doesn’t think she has what it takes. His mother is dead and now his father is very ill and needs someone to look after Michael when he has to go into hospital. However, when Cathy meets Michael and his father she is so impressed by their courage, faith and positive attitude to life that she knows she must help them. What follows is a story of hope, happiness, and making the most of every day. It is the story of a father’s selfless love and devotion for his son, and a small boy’s belief that when the time comes the angels will take his daddy to be in heaven with his mummy. "The Night the Angels Came is beyond words." 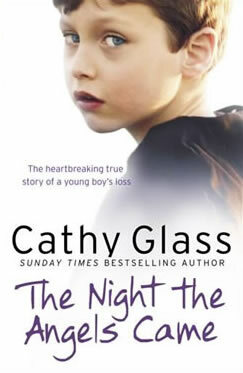 "The bestselling British author Cathy Glass is back with her most moving book to date."